Though only 2 miles long (one way), the Kiwanis Vulcan Trail is one of the most popular running spaces around Birmingham. The flat paved and crushed stone path is the crown jewel of Birmingham’s growing Red Rock Trail system. It starts at Red Mountain Terrace on the west end and runs east to Vulcan Park and Museum. 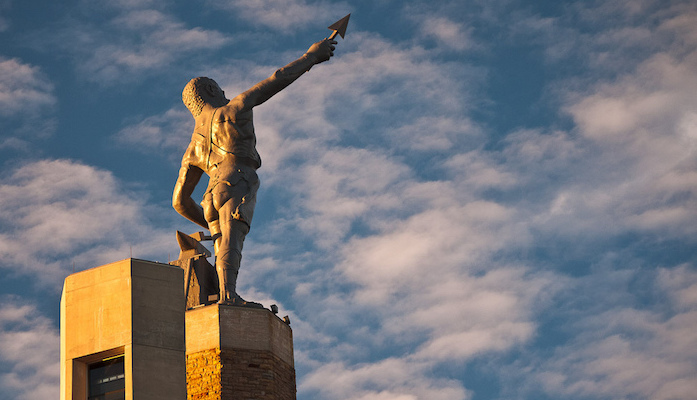 Following the route of the former Birmingham Mineral Railroad, the path climbs up Red Mountain where runners can enjoy views of Vulcan, the world’s largest cast iron statue, and downtown Birmingham. This trail is about 1.5 miles south of the University of Alabama campus.